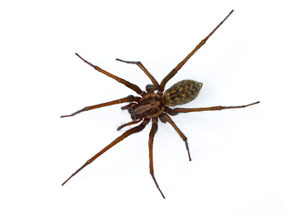 Spiders are one of the most feared pests we service and rightfully so. Not only do they look creepy with their eight legs and fear-inducing fangs. But, they also range in different sizes from your very small spiders to very large ones. No matter the size, Spiders can also range in temperament and risks from their bites. Beyond just seeing a Spider, you will also notice active webbing within your Waldorf home or old cobwebs left behind from Spiders as well. Whether you see one Spider or multiple, it is best to get the problem under control. Depending on the species of Spider, you are putting your family at risk for a Spider bite which at the most benign can cause a painful bump to form and at the most severe could be life-threatening. Also, Spiders will create their webs which can ultimately make your home look unkept over time. From an aesthetic and safety concern, Spiders should be removed from the household. Calling a Spider exterminator to take care of your Spider problem is the next step you should take to keep your family and Waldorf home safe.